I’m going to cut right to the chase: Gramercy On The Park has a great pool situation. That isn’t always the case with luxury apartments for rent, especially in Dallas, but here it’s true: I love this pool. Now, maybe you need some background. When I was a kid, my parents couldn’t be bothered to take me to the public pool. We sure as heck didn’t have our own. And none of my friends had pools either. So a pool was really a sign of wealth and affluence for me. Not to mention, it was something awesome to enjoy. So my love of pools runs deep. And the pool at Gramercy is gorgeous. Resort-style with a Cabana area (including hammock areas with grilling stations), this isn’t just a pool. This is a luxurious pool. After a quick dip, there’s little I enjoy more than a sandwich run. Have you tried the sandwiches at Maguire’s? I love their sweet & spicy shrimp po boy – it reminds me of home. It goes down really nicely with a pint after my swim. This is living! Anyway, I can’t recommend the pool at Gramercy On The Park enough – it’s one of my favorite things in the world. 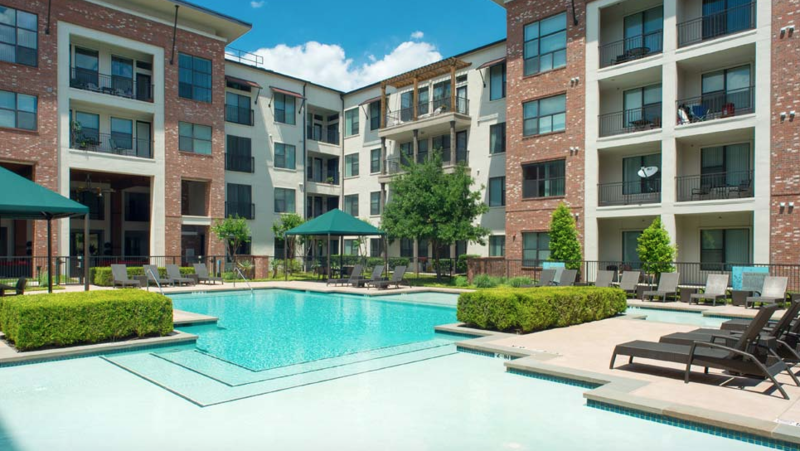 Dallas luxury apartments for rent don’t get much better than Gramercy, and for me at least, the elite pool situation (and the eye candy that hangs out poolside) is one of the biggest reasons why. Does it even make sense to get a good apartment without a pool? Not for this guy.